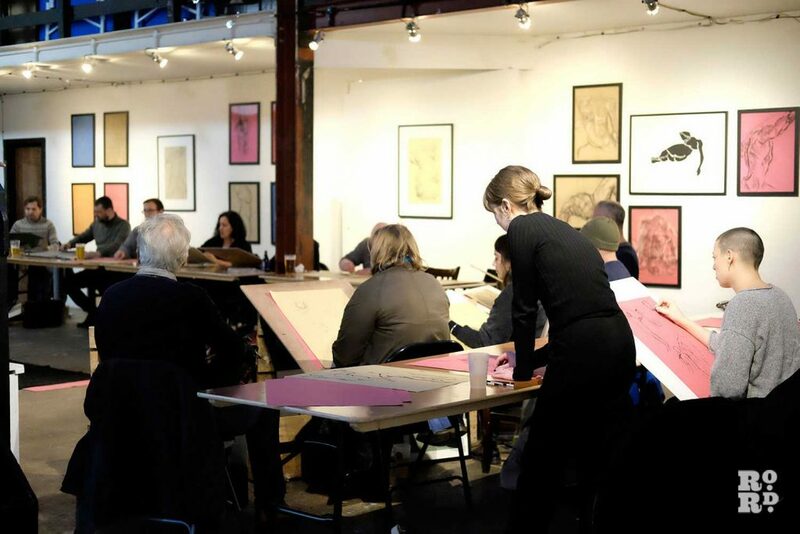 Four days after moving to east London Benjamin Kelly attended a life drawing class for the first time. A year later he is opening an exhibition of his work, Fifty Two. What is most remarkable about Kelly’s year is how unremarkable it is. It seems like the most natural thing in the world, another chapter in the story of Hackney Wick Life Drawing. 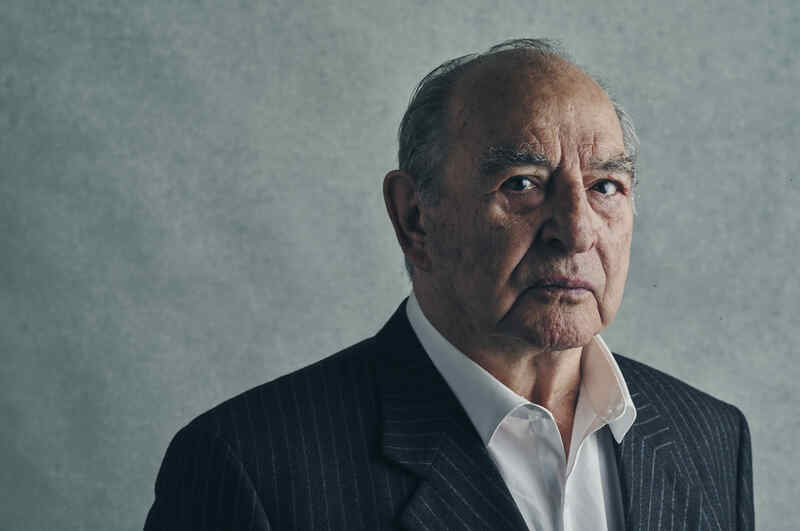 We met three of its leading characters to find out how it happened. To understand Kelly’s path from sketching novice to exhibition star one needs to understand the world he was joining. 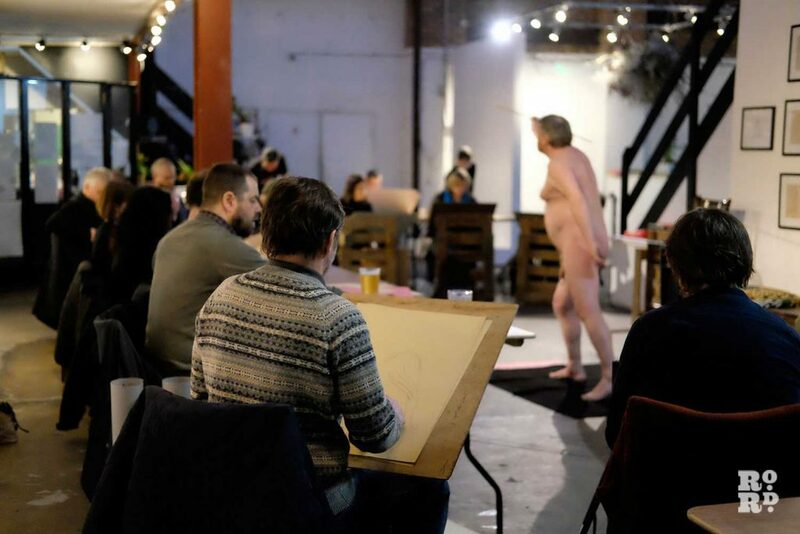 Hackney Wick Life Drawing is not like most other life drawing classes. 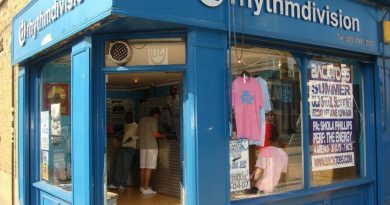 Held twice a week – at The People’s Park Tavern by Victoria Park on Mondays and Stour Space on Fish Island on Wednesdays – the group grew out of the controlled anarchy of Hackney Wick’s art scene. 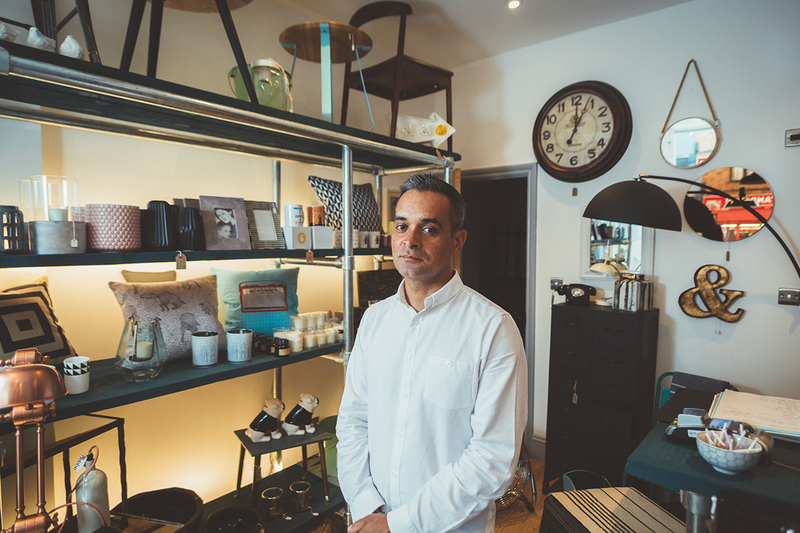 Now in its fifth year the group is run by Ben Wakeling, an artist who has lived and worked on Fish Island for ten years. Until two years ago Wakeling lived in Vittoria Wharf, next door to Stour Space. It was there that the group started and ran for the next three years. Wakeling had been unimpressed by the sterile, classroom environment of life drawing classes and wanted to try something different. With each session art accumulated all over the space. 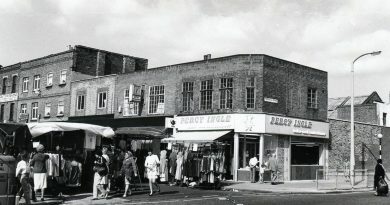 By the time the building was torn down to make way for redevelopment it was covered inside and out with art. 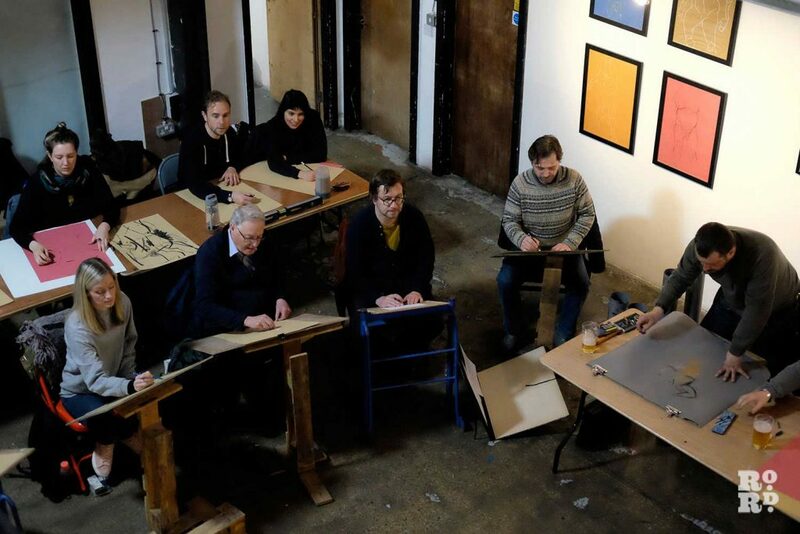 When the warehouse was demolished the drawing group found a new home at Stour Space, Fish Island’s creative community hub. The logistics of using a shared space reigned in some of the group’s habits (literally drawing on the walls was a bit of a no go), but it also sharpened its purpose. It needed a set time and it needed a set format. Each session lasts two hours. Ten one-minute sketches open the session to loosen attendees up – and give latecomers time to settle in. After that is two longer sessions with a break in between. Outside of that structure there is little uniform about Hackney Wick Life Drawing. There is pen, pencil, charcoal, chalk, paint, people standing up, sitting down at makeshift easels. Some have earbuds in, others soak in the low-key tunes that play throughout the night. Pints slowly empty and are refilled. It is a little world without pretension. 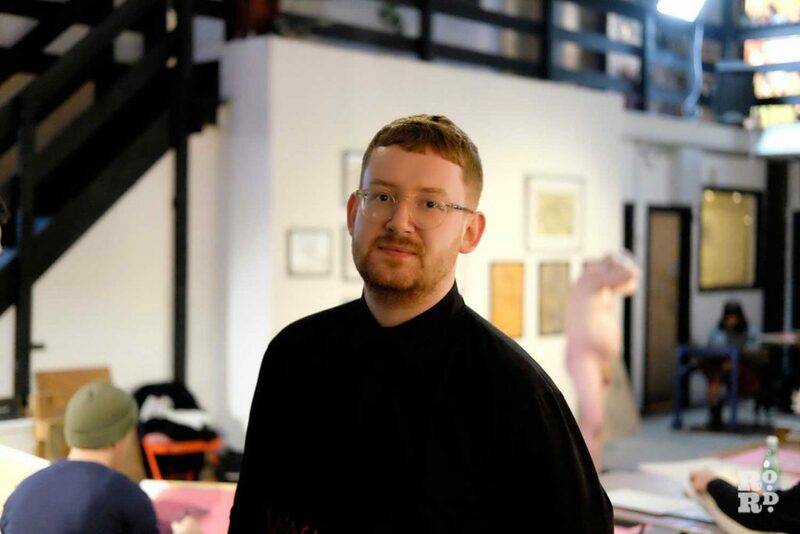 It was this world that Benjamin Kelly stepped into on 14 February, 2018, having never attended a life drawing class before. He had moved to Hackney Wick from Liverpool four days prior, looked for local things to do, and found a life drawing class round the corner. He went. He joined regulars for a drink afterwards. He went back the next week. And the next one. ‘I instantly found myself having this community. 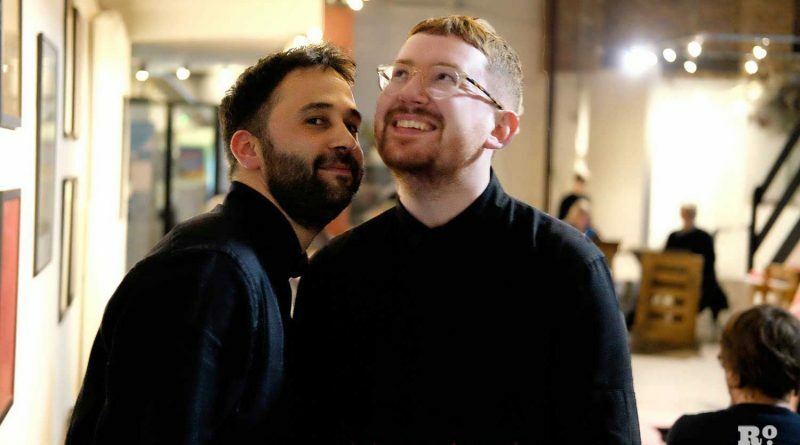 It was the highlight of my week.’ A month after his inaugural session Hackney Wick Life Drawing threw its first ever group exhibition and two of Kelly’s pieces featured, one of which he sold. If you attend the Fifty Two exhibition you will see the early sketches are much smaller than those that follow. That is because Kelly first attended the class using a B5 pad, in which the paper is little more than the size of a postcard. That was until Michael, one of the regulars, recognised what Kelly was doing. He ripped out a sheet of his own A3 pad and told Kelly to make himself uncomfortable. He obliged. The steps kept coming. The pieces get better, larger. Kelly started using chalk and charcoal, asking to use materials rather than being compelled to. He began to feel more confident in his professional life. By the summertime, again over a pint, Kelly floated the idea of a solo exhibition. 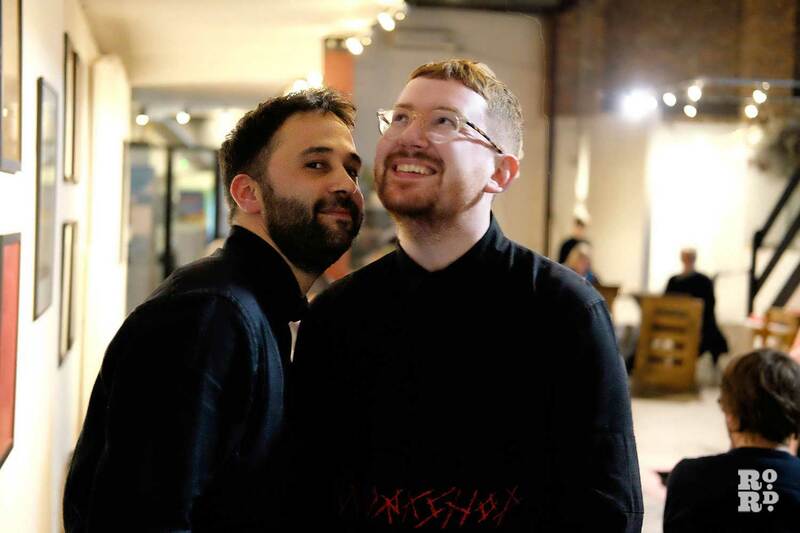 As the prospect bubbled in the background Kelly began supporting Wakeling during his classes, helping him set up and managing social media. In September he ran the class to give Wakeling a birthday break. Kelly organised the night; Wakeling sat at the back with an easel and experienced the class as an attendee for the first time. ‘I felt really touched, I felt seen,’ says Wakeling. So did Kelly, who was bright red for most of the session. Running the session meant standing up in front of the group. It was another milestone for Kelly. He goes red just at the recollection. Lined up in order Kelly’s development from anxious newcomer to one of the family almost feels obvious, but that in itself speaks to the dynamics of Hackney Wick Life Drawing. When you’re in a room where everyone wants you to succeed, odds are you will. It’s fitting that Kelly’s exhibition is being curated by Hannah Healey, 25, together with Wakeling. She and Kelly have been married for five years. Based in Oxford for her studies, she experienced Kelly’s development over the phone. That seems to be the essence of Fifty Two. The fact that it has happened at all is a testament to the culture Wakeling has nurtured and Kelly has opened himself up to. 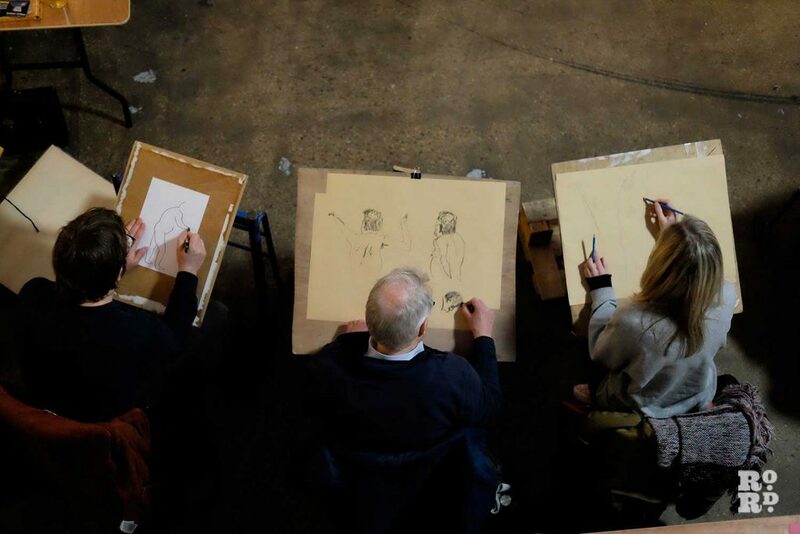 For Wakeling it’s a natural evolution in Hackney Wick Life Drawing, a group which has quietly triumphed against the tide of development for five years and counting. For Benjamin Kelly the process has been enough. In a sense the exhibition for him has already happened. With Stour Space’s future on Fish Island uncertain, the resilience of Hackney Wick Life Drawing is likely to be tested again. If Fifty Two is any indicator, it will continue to survive and thrive. To Kelly that is what the exhibition is all really about, what can be achieved when people band together and push further than they’d dare to alone.